Many towns temporary between 1777 and 1805. 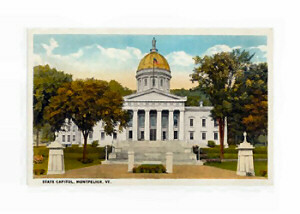 Montpelier, since 1805. March 4, 1791, 14th State. Vermont Geography, 9,615 square miles. Vermont shares an international border with Canada on the north. 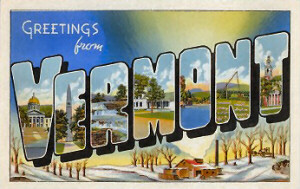 Constitution: Vermont's Constitutions, 14th state to enter the Union. Services: The community, business and personal services group is the most valuable services group in Vermont. Its main sources of income are private health care, hotels and ski resorts, law firms and repair shops. Ranking in second place is the finance, insurance and real estate services group based on the buying and selling of homes, particularly vacation homes. The state's major financial center is Burlington. Wholesale trade (food products, plastic products, wood products) and retail trade (discount stores, food stores, service stations) account for the third most valuable service industry group. Manufacturing: By far, the production of electrical equipment (semiconductors, electrical components)is Vermont's most important manufacturing activity. One of the largest electronics companies in the world produces computer components in a large plant near Burlington. Production of food products (dairy products, bakery goods) ranks second in the state followed by manufacture of machinery (machines for making semiconductors and machine tools). Mining: Granite is the big mined product in Vermont where the largest granite quarries in the country are found. Other mined Vermont products include limestone, marble, sand and gravel, slate and talc. Highest Point: Mount Mansfield, 4,393 feet above sea level. Lowest Point: Lake Champlain, 95 feet above sea level. Natural Resources: Valuable mineral sources, fertile soil and forests that cover about 4/5 of the state are Vermont's natural resources. 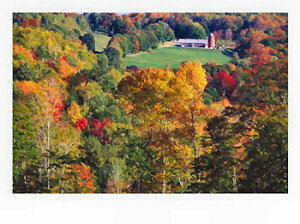 The state's hardwood trees include maples, birches, beeches, ashes and poplars. Softwood trees include spruces, red and white pines, hemlocks and cedars. The state has large granite, marble, slate (official state rocks) and talc deposits. 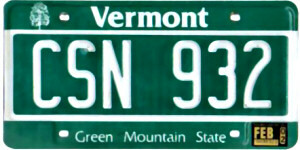 Vermont House: Vermont State Representatives.